Whether it’s time to replace your home’s roof or take care of some minor repairs and inspections, trust your home to the area’s residential roofing specialist at Lyons Roofing Company. 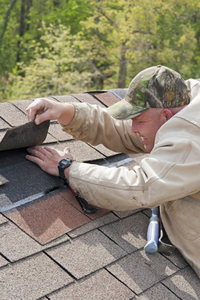 We are the leader in new roofing solutions and roofing repair and maintenance in Indiana and Kentucky. Locally owned with over 25 years of roofing experience, the roof experts at Lyons Roofing Company will assist you with all your roofing needs. We at Lyons Roofing pride ourselves on providing safe, quality service your family can trust. Maintaining your roof is just as important as mowing your lawn or painting your home’s exterior. Unfortunately, many homeowners forget about the importance of examining their roof. Besides the foundation and walls, the roof is the most important structure of your home. Your roof protects your home from the severe weather events in Indiana and Kentucky. Proper maintenance can save you from spending thousands of dollars to replace your roof before its time. Preventative roof maintenance helps to detect the potential problems in your roof so that the proper repairs can be made before the problems get any worse. Preventive maintenance should be performed at least once a year with a thorough inspection done along those areas that wear down the quickest. Your roof is one of the most important parts of your home, but how do you know when to replace your roof? Without a solid roof, water can get into your home and cause all sorts of damage. Everything from damaging drywall, ruining the carpet, rotting wood, promoting mold growth and damaging personal belongings. A small leak in your roof can cost you thousands of dollars in repairs, so it’s better to be proactive than reactive. Obviously, you want to get as much out of your current roof as you can, as replacing your roof is a large investment. But if you wait too long to replace your roof, you’ll end up paying for a new roof + interior and exterior repairs if water gets in. 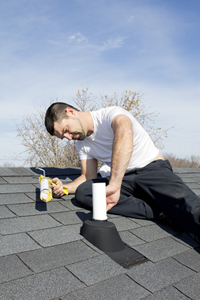 One of the biggest mistakes many people make is to wait until their roof starts leaking to replace it. These are most common signs you need a new roof, though there are others. Catching these signs early is important. You want to replace your roof before you have leaks. Since even small leaks can cause significant damage, addressing problems early save you a lot of time and money in the long run. Plus shingle prices are always going up, so it’s likely you’ll invest less to reroof your home now than you will if you wait for 3 years.